(BOULDER, Colo.) — NEWS: Sharing video highlights during the game is now possible for any spectator. TeamSnap, the household name in integrated sports management, announced today it is partnering with Fantag, a pioneer in video highlight technology, to debut video highlights on its popular TeamSnap Live! platform for the first time this fall. 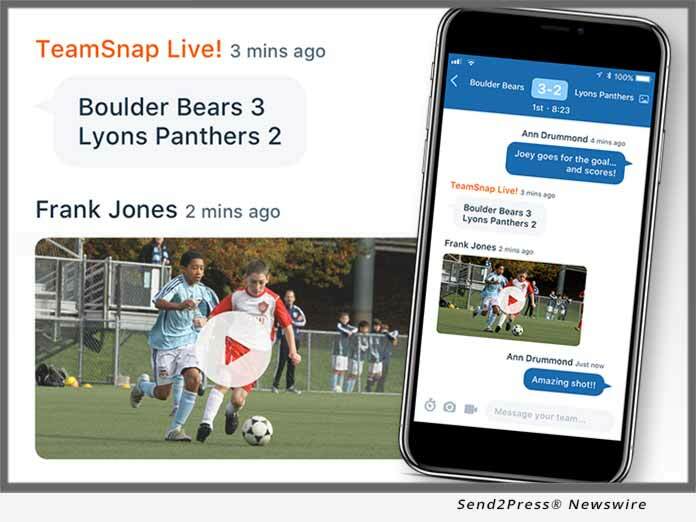 TeamSnap’s new video capability is powered by Fantag, whose technology makes capturing highlights from live video possible with just a tap of a button. Fantag’s easy-to-use interface will be tightly integrated into TeamSnap giving coaches, players and parents instant access to record, tag and share highlight videos. Fantag is the easiest, fastest, and most affordable way for organizations, schools and teams to manage all their video in one place – for hassle-free sharing of highlights, clips, replays, and reels. Using patented technology, Fantag automates the connection between video creators and video consumers. By delivering personalized highlights to a larger audience, Fantag transforms the fan experience and streamlines the content creator’s workflow. The value of the video already being captured is significantly increased at the click of a button for everyone – whether a fan, player, parent, coach, athletic director, recruiter, sports editor or broadcaster. For more information, visit Fantag at https://www.fantag.live/.